After the long wait, we finally have the LSD for the Mazda MX5 NC Roadster! Drift control is best achieved with the 2 Way design. The high initial torque with massive discs will increase tire traction whilst maximizing overall grip. The high speed operation greatly improves straight line stability and achieves the original intended feel of the RWD sports design. The perfect cam angle has been designed to produce the best response during constant throttle work. The locking mechanism characteristics, is purposely designed to suit drifting, at any race track, anywhere in the world. 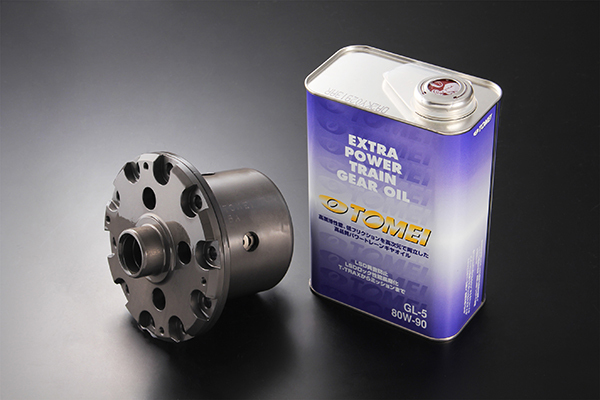 Tomei LSDs are 2 way systems. This design dynamically engages during acceleration & deceleration. With this 2 way LSD, any RWD configured sports car can be effortlessly controlled with accurate co-ordination. With most vehicles, it’s necessary to change out the side flanges when upgrading to a high performance LSD unit. The T-Trax Advance unit is a universal fit, meaning that it can be used with those vehicles stock side flanges. This does not affect the performance of this LSD at all. Yet it does help to reduce costs for the end user. The Advance Disk technology was incorporated into the unit, for quieter and more efficient operation. By changing the design of the surface, the transition characteristics into the engagement of the LSD internals has proven to be smoother. The change in behavior during throttle on and off is minimal, thus maintaining stable mechanical operation of the entire system. 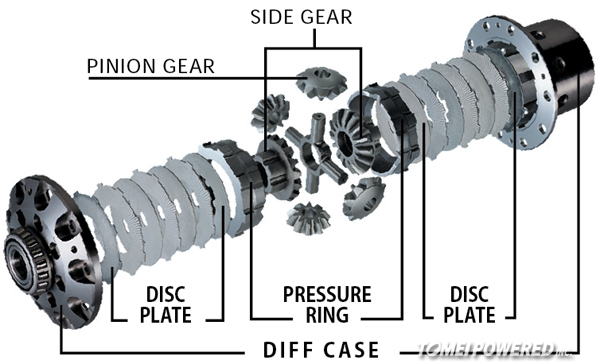 In addition, the typical operational sounds emitted from a bulky limited slip differential are kept at a discrete level, so the unit can be used even for daily driving. Due to the incorporation of the larger friction disks, torque is evenly distributed instantaneously, to both the left & right wheels. Even during hard drag race launches. The high locking mechanism also ensures greater vehicle control during drifting & provides the highest performance for the money. Spring disks are used to engage the clutches in the Technical Trax Advance LSDs. The structure that produces this high initial torque was kept compact. The longevity of the unit was proved by the variable spring rate tested during extreme driving conditions over an extended period. 過去の投稿前 Event: 1JZ Meet Tomorrow!